The Digital Immersion Project was created by PBS Digital & Marketing, with support from the Corporation for Public Broadcasting, to help improve digital efforts at stations, while offering a way for station staff to connect to a greater public media community of digital professionals. The program kicked off when 25 digital media professionals from PBS stations across the country gathered in Las Vegas at PBS TechCon in April 2017 for a specialized curriculum, in-person training sessions, networking opportunities, information sharing and general bonding over shared experiences and challenges. By combining the commencement of the almost year-long professional development project with the rich educational resources available at TechCon, the “DIPers” were provided with a truly unique and enriching conference experience. A Shared Experience IRL: Initiating the DIPer’s at TechCon was a truly inspired idea, I don’t think the subsequent activities would have worked as well without having had the opportunity to meet all the members of the cohort in a relaxed setting in person first. One of the few criticisms of the program in general was that we were unable to come together in the physical space after TechCon (yes, somewhat ironic for digital professionals). 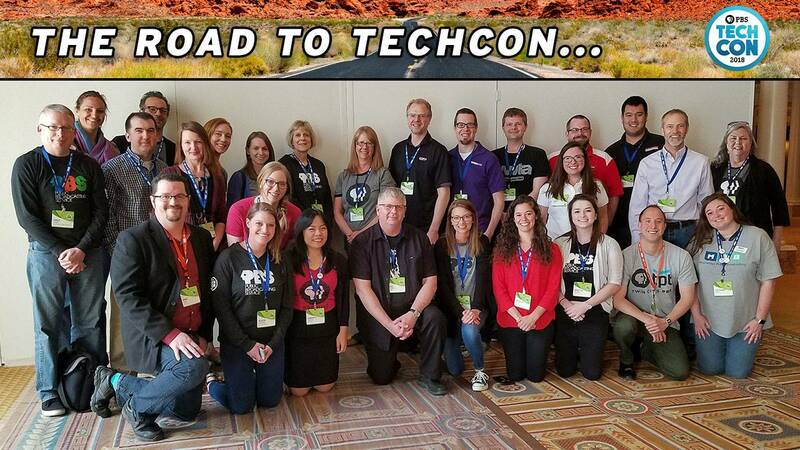 Google Docs and more Google Docs: Shared note-taking was a huge hit at TechCon 2017, providing excellent collaborative working documents with actionable elements that could be taken home to stations and implemented. I have referred to these notes more than once in subsequent months. In the past, I have often returned from conferences with shoddy hand-written notes that go straight to the recycling bin. Bonding and networking made simple: The organizers provided a formal social “mixer” at the beginning to help members get to know each other, and the shared curriculum reinforced those connections as the days progressed. Add to that all the post-session informal gatherings, and I really got to know many fantastic station colleagues from all over the country. As a person who has Googled “how to survive conferences as an introvert” more than once in the past, this was quite a revelation. And probably one of the most useful takeaways of the DIP experience as a whole has been developing a community of talented digital station professionals who are willing and able to provide expertise, insight, advice or maybe just a few kind words of encouragement and empathy. Learn more about the next iteration of the Digital Immersion Project here, and apply before February 18th!